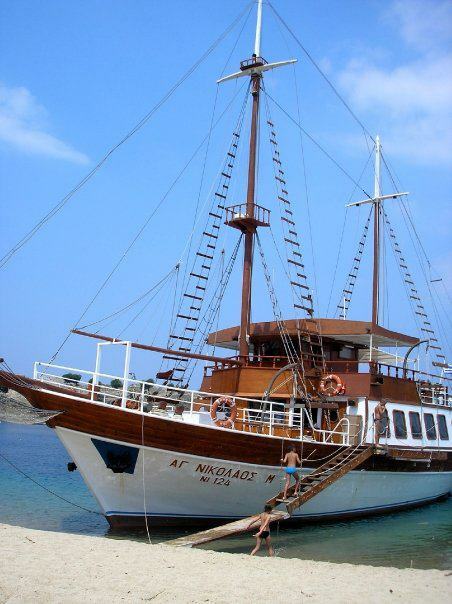 The beautiful Toroneos gulf is located between the peninsulas of Kassandra and Sithonia. It is well known for its blue crystal waters and the breathtaking view of the scenery and the coastlines of the two peninsulas. 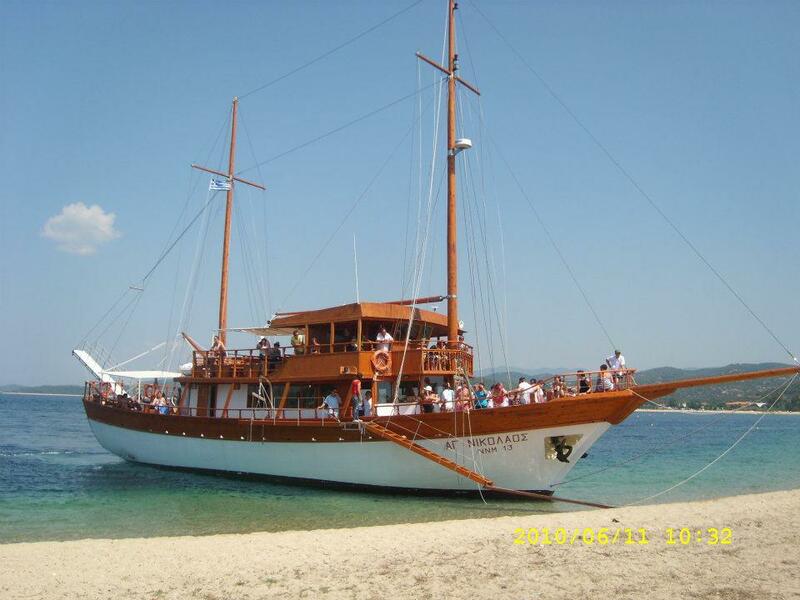 Among these in the Toroneos gulf, is also an island of Halkidiki, which is called ‘Kelyfos’. 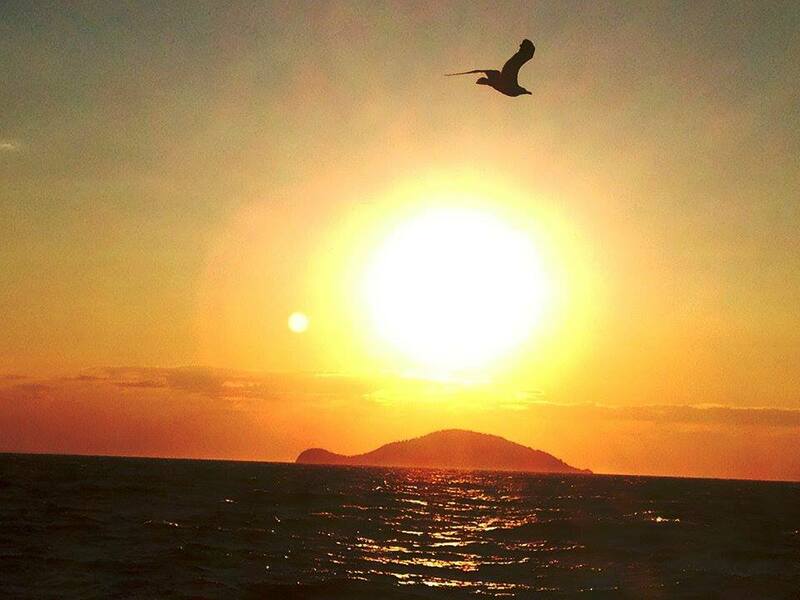 This island is particular due to its weird shape, looking like a turtle, and that is why it is called by the locals the ‘Turtle Island’. 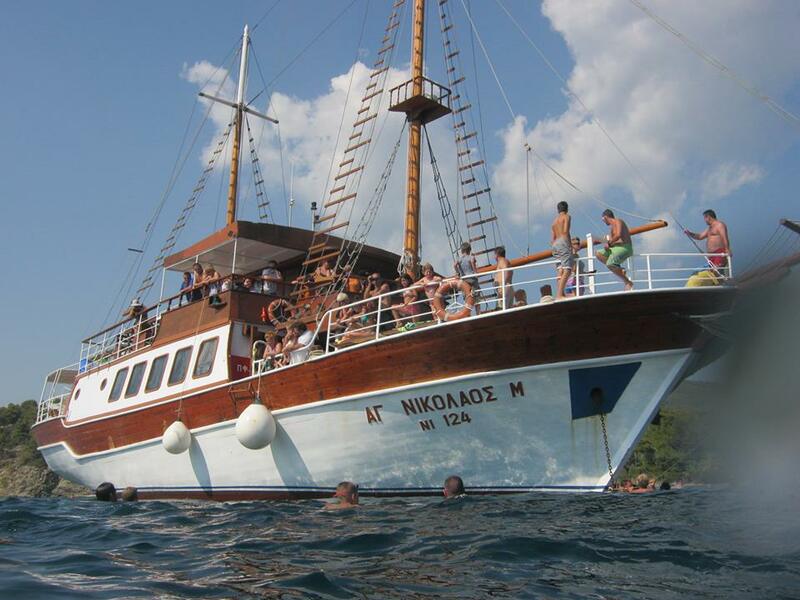 This cruise trip is perfect for you, if you want to spend a day enjoying the sea, sun and the amazing landscapes of the peninsulas of Kassandra and Sithonia. 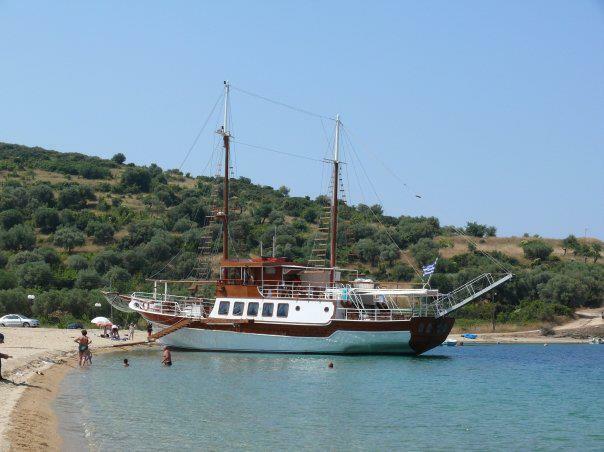 Our departure point is the port of Pefkohori, in Kassandra. 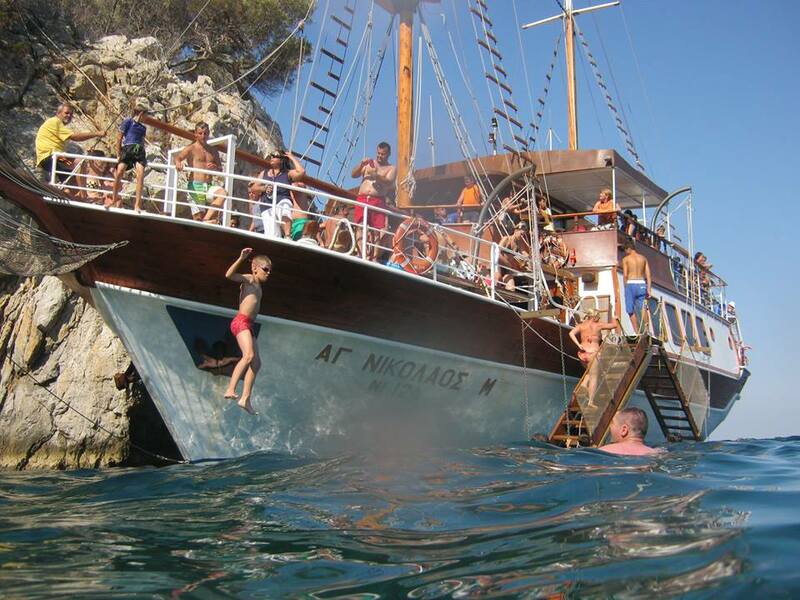 The traditional boat Saint Nicolas ( Agios Nikolas ) departs every Monday, Friday and Saturday at 09:30 in the morning. Our first stop will be an isolated beach, in Toroni, called ‘Aretes’, for approximately two hours of swimming and sunbathing. Be sure that you will be amazed by the green-blue Aegean waters and the gold sand that doesn’t stick to your body, accompanied by the gorgeous view of the Byzantine fortress, which will make your stay there an unforgettable experience. 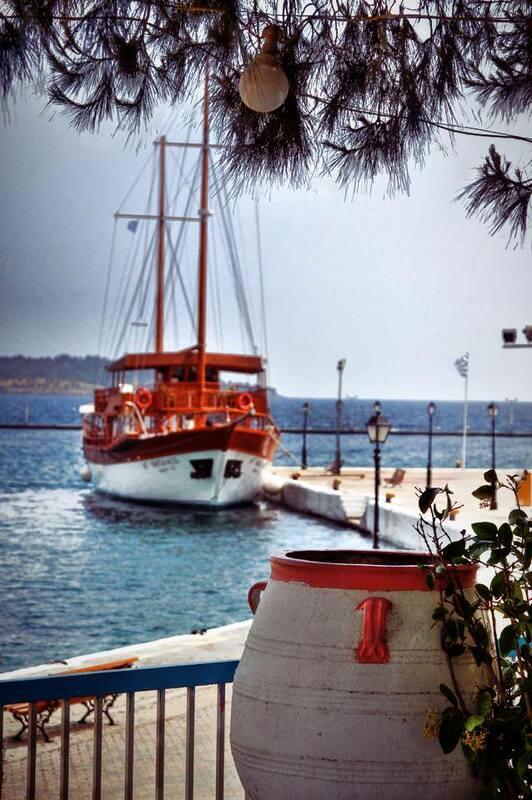 Back on boat and ready for you to take your lunch and drink enjoying the way to our second stop, which will be the traditional well-known village ‘Neos Marmaras’ in Sithonia. In there you will be able to explore the place, make a walk through the small alleys decorated with traditional Greek style, take souvenirs or do anything else you like during your stay of one hour and thirty minutes. Our final stop before our arrival back to Pefkohori will be the island ‘Kelyfos’, the perfect place for swimming and snorkeling. 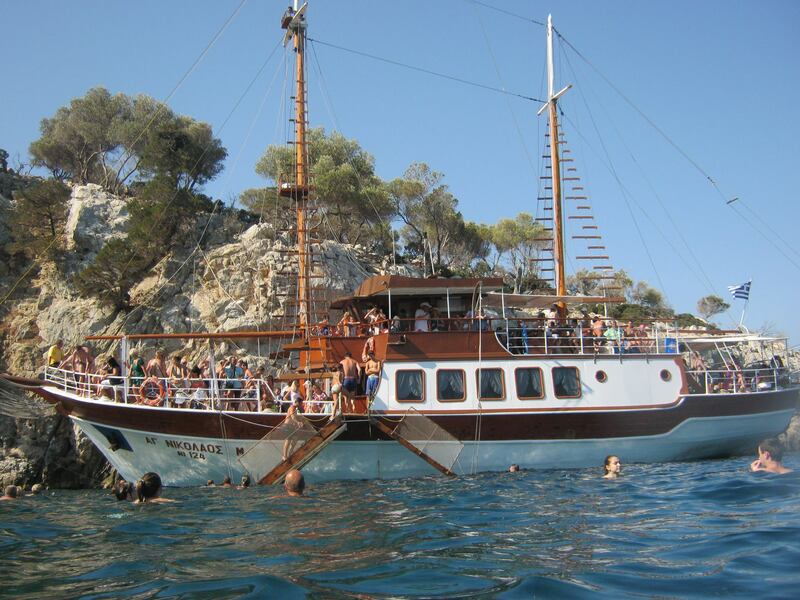 After forty minutes in the ‘Turtle Island’ we will head to our final destination enjoying some Greek music and maybe we have the chance to see some dolphins, as it usually happens. The estimated arrival time is 17:30.